Cost of payday loans to drop in B.C. Maximum allowable charge for a payday loan in B.C. will drop from $23 to $17 for every $100 borrowed. Sep. 21, 2016 5:00 a.m. The borrowing rates of short-term cash loans will be lowered under new regulations announced Wednesday in Maple Ridge. 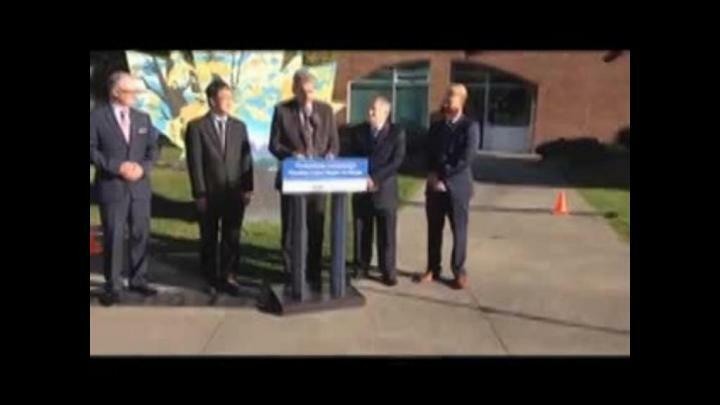 “Sometimes people need an extra couple hundred dollars to survive between paydays and turn to payday lenders for high-cost, short-term loans,” Minister of Public Safety Mike Morris said in front of Maple Ridge city hall. Last year, 159,000 people did that. As result, the government is setting a limit on interest rates charged by payday loan companies. As of Jan. 1, 2017, the maximum allowable charge for a payday loan in B.C. will drop to $17 from $23 for every $100 borrowed, making it the second-lowest rate in Canada. That builds on regulations the province implemented in 2009, before which borrowers paid whatever the lender charged – as much as $30 per $100. Borrowers also had few, limited protections and little recourse against harmful lending practices, such as rollovers, extended repayment terms, disclosure requirements, said a government news release. The government is also launching a 30-day review of other types of loans, such as installment loans, vehicle-title loans, rent-to-own sales and cheque cashing services. “These are all expensive ways to borrow money or to purchase goods,” Morris said. He added that he wants to hear ideas how to help people avoid getting into debt. Rules already require payday lenders to be licenced and to show the full costs of credit. Maple Ridge Coun.Tyler Shymkiw led the initiative to stop any more payday loan stores from opening in the city. Under a Maple Ridge bylaw passed in 2015, once an existing store closes, another can’t open. Last year, there were six local stores in Maple Ridge offering services for as cashing pay cheques or loaning small amounts of money at high interest rates. Under the bylaw, those stores would stay open, but would be refused a business licence if they closed for more than six months, then tried to re-open. He liked the ongoing consultation on the topic of high-interest lending because it’s always changing. He said the federal government deregulated the payday loan industry in 2006, but now provinces are starting to respond with their own regulations. Scott Hannah, CEO of the Credit Counselling Society of B.C., said high-cost financial service can add significantly to people’s financial problems.